A Sliver Locket as a gift for the birth of a baby boy. 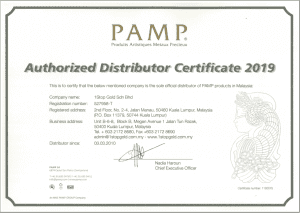 1 Stop Gold Sdn Bhd is a subsidiary of its larger parent company, The MKS PAMP GROUP based out of Switzerland. The MKS PAMP GROUP has been in the Precious Metal Business for more than 50 years and is recognised as a reputable and trustworthy company globally. 1 Stop Gold is the parent company’s investment to cater for customers that seek a range of products such as investment bars to unique jewellery offered at competitive prices.